Ashley began her career at NAH in August 2013. Originally from Rochester, NY, Ashley earned a degree in Kinesiology/Pedagogy from the University of New Hampshire and also has a Master’s degree in Sports Management from Southern New Hampshire University. Although Ashley has a passion for sports, her love for animals is what brought her to NAH! 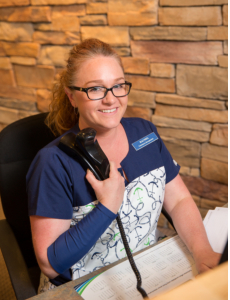 She excelled as a member of our front desk team, and earned the position of Reception Supervisor in September 2016. Ashley currently resides in Newport with her very handsome and lovable dog named Oakley. Rachel joined our receptionist team in June 2014. 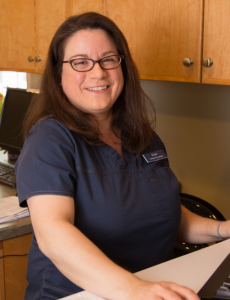 A proud Navy wife, she made her way to Newport from North Carolina with her husband, and came with plenty of experience as a veterinary receptionist– she is originally from Maryland where she worked in another animal hospital for 5 years. When not at NAH, Rachel enjoys spending time with her husband and her gorgeous German Shepherd Houser. Elise joined the NAH reception team in 2014. Elise attended Salve Regina University where she studied English Literature & Philosophy of Education and fell in love with Newport and Aquidneck Island immediately. 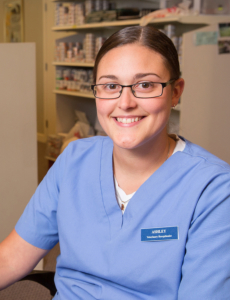 Elise has had a life-long passion for animals and is so thrilled to finally have a job that combines her love and compassion for pets with her acquired clerical skills. She currently lives in Massachusetts with her two super cute and crazy kitties. 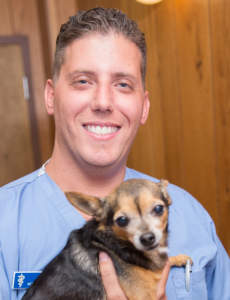 Andy has been with Newport Animal Hospital since October of 2010. He is originally from San Diego, California. Andy graduated from the University of Rhode Island with a degree in Communications and Broadcasting. He loves working with animals and appreciates all the assistance he’s received transitioning into the field. Andy currently lives in Tiverton with his wife Mary, his son, Kyle, and their Pug/Basset Hound mix, Kenny Powers. In his spare time he runs his own voiceover company with his own home studio.